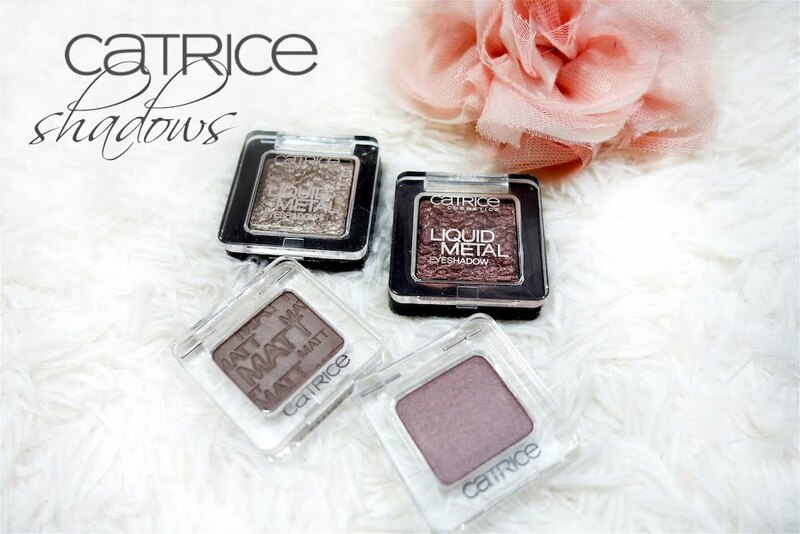 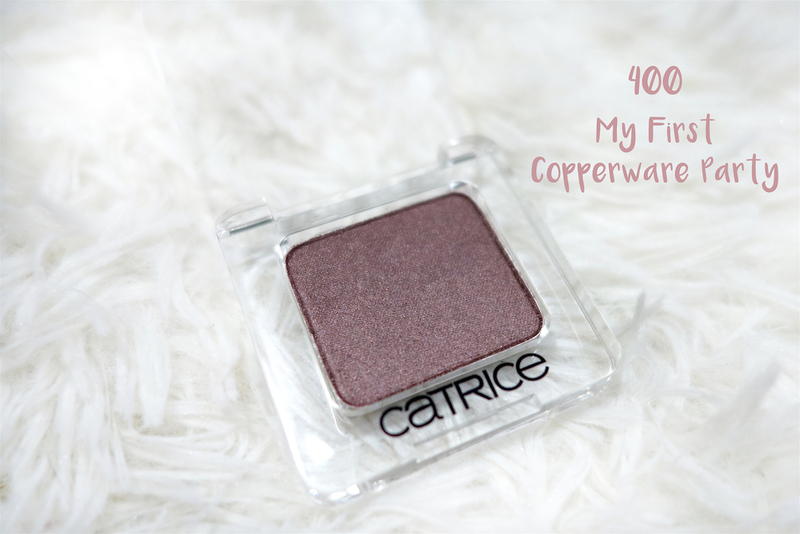 Here's a short and quick review with swatches of the Catrice single shadows. I pick up 4 of them. 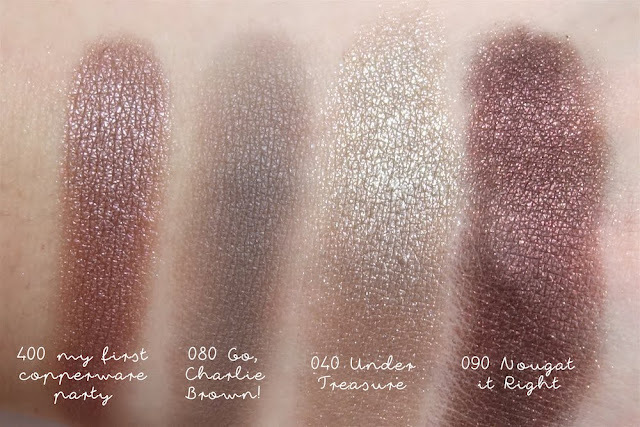 Let's move on to the swatches and review of each of them. 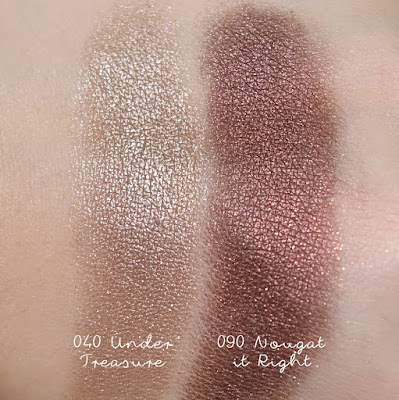 I picked up two shades from this collection - Under Treasure and Nougat it Right. 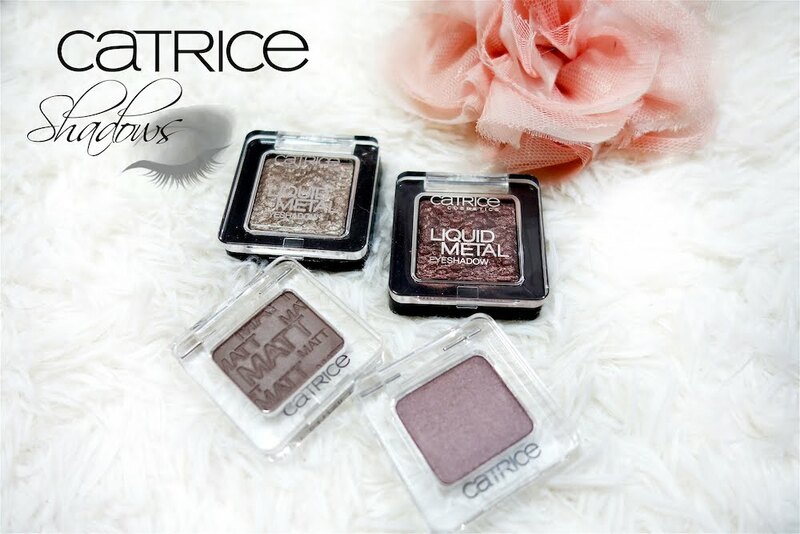 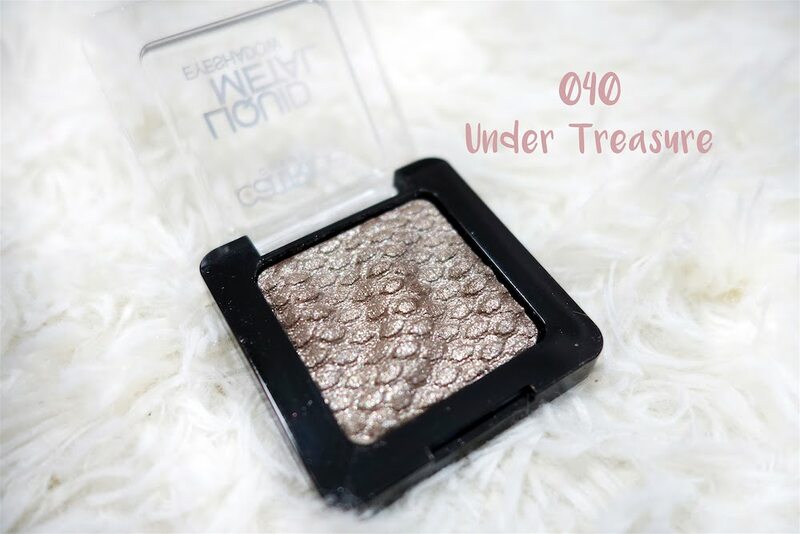 This collection has extremely shimmery and metallic shadows with great colour pay off. 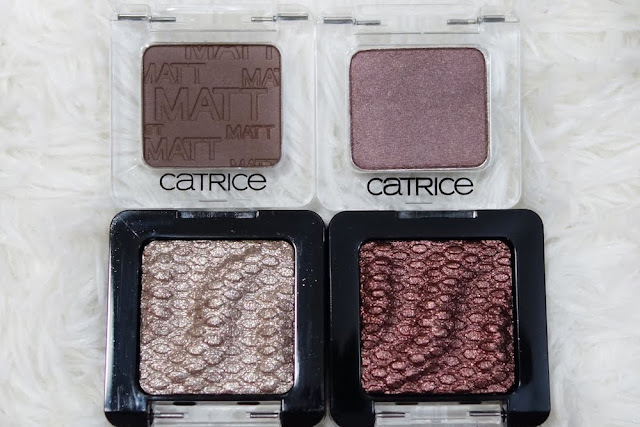 This retails for S$7.90 each at Guardian. 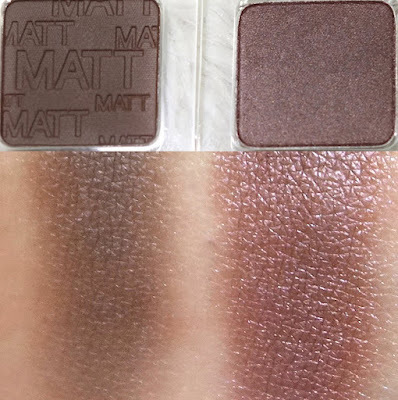 Not exactly super cheap as compared to Makeup Geek shadows but the pan size is huge and the quality is actually not that bad for a drugstore brand! 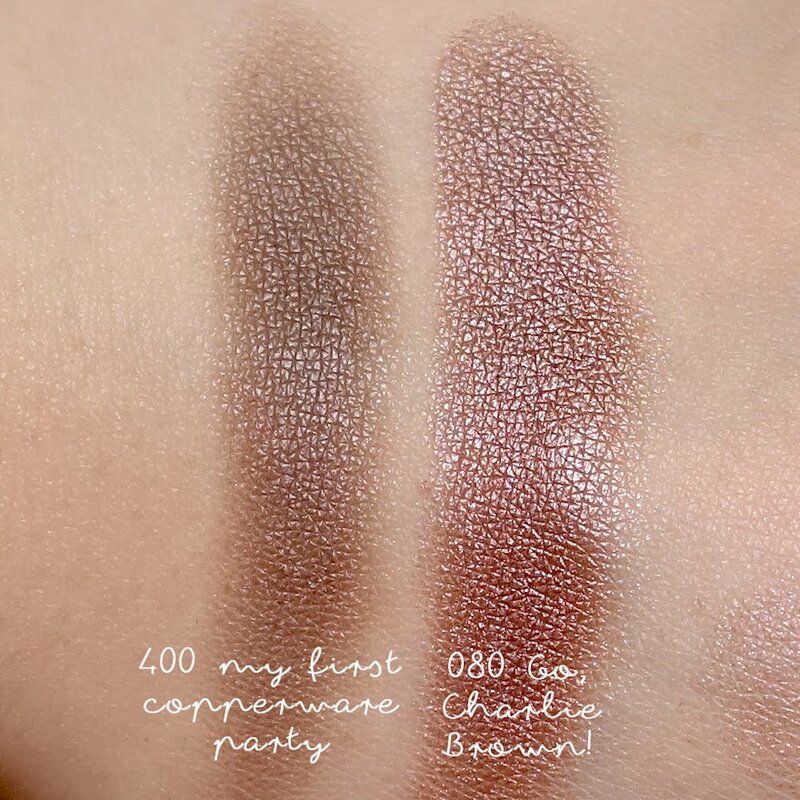 I did de-pot all these shadows and popped them into my z-palette as single shadows are quite troublesome to use. 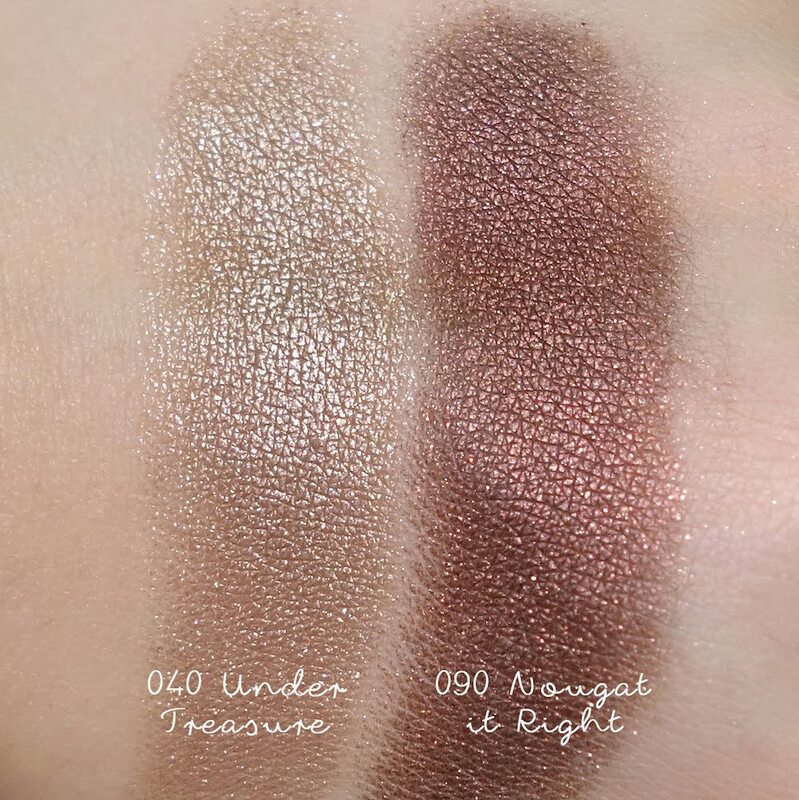 Under Treasure is a perfect everyday shade. 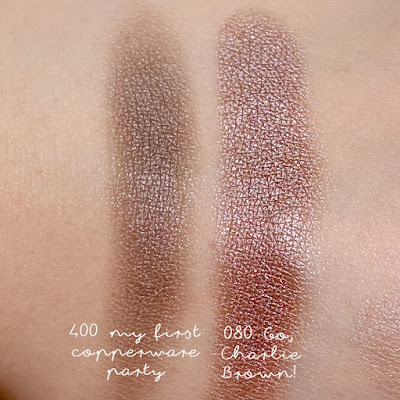 It is a mix of cool browns and taupe. 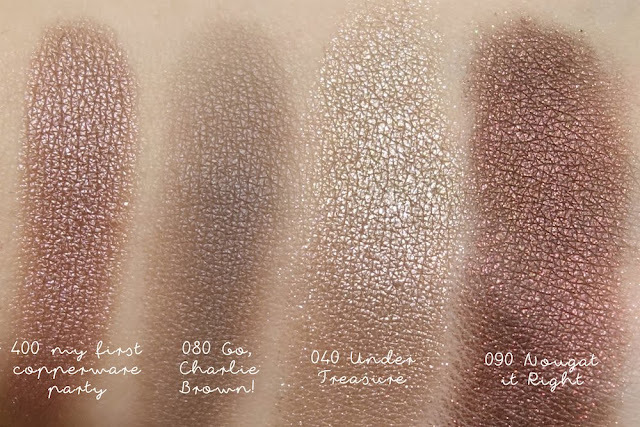 Like a dusty champagne shade if I had to narrow it down to a more precise description. 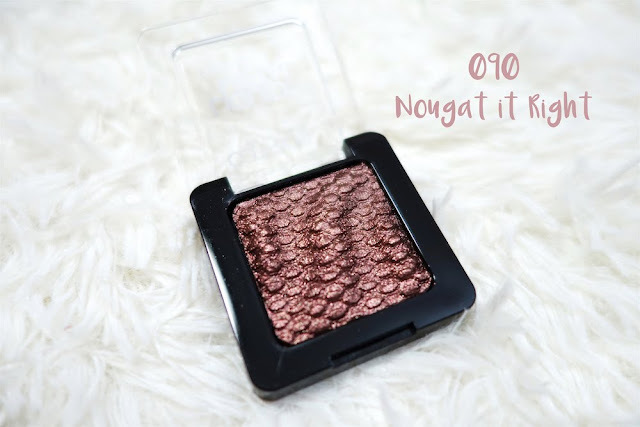 Nougat it Right is a warm tone brown with a slight red undertone. 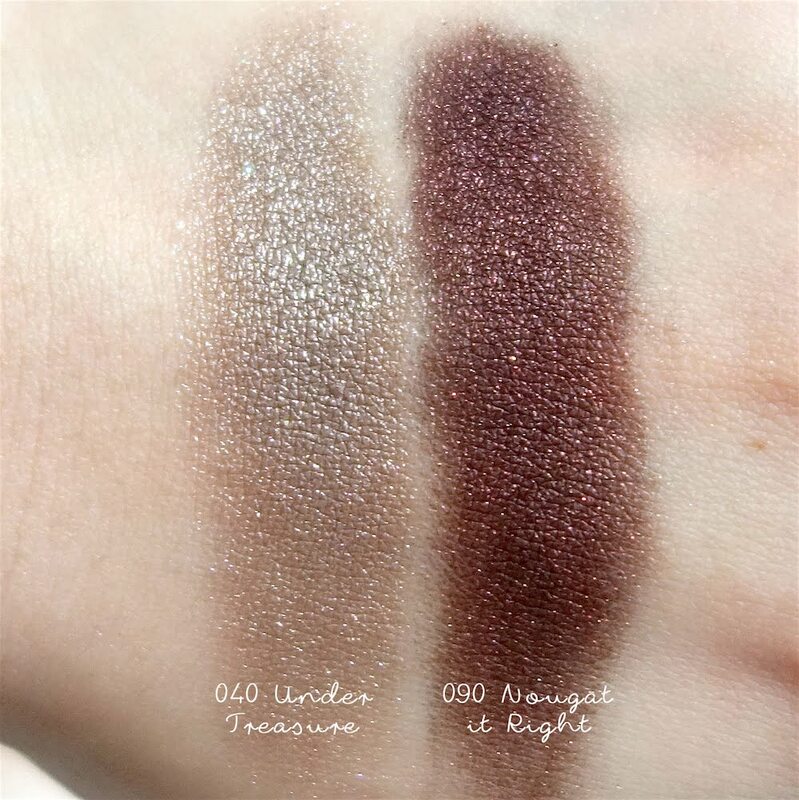 This is too dark as a lid shade for my personal preference, but will work well as a crease shade in the outer v to darken the eye look. 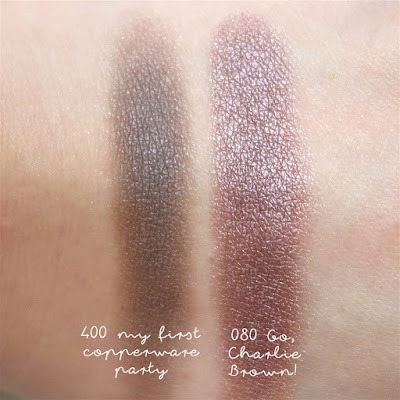 For their normal line, I picked up two shades as well - Go Charlie Brown and My First Copperware Party. 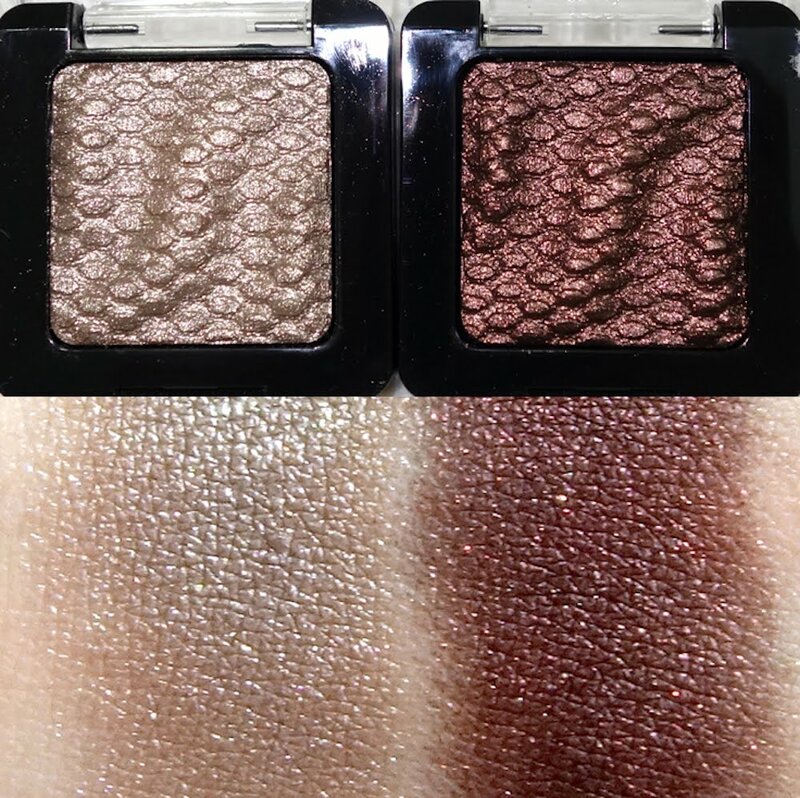 The shadows in this line are less metallic and has a mixture of matte finish and shimmery - satin finish. These retails for S$4.90 each. 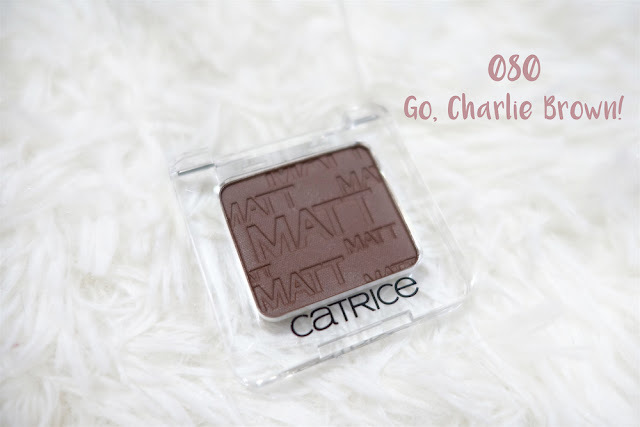 Go, Charlie Brown is a matte brown with cool undertones. This is too dark for me as a transition shade but will work well as a crease shade in the outer v, for instance, I can mix this with Nougat it Right to create an intense darker outer corner. 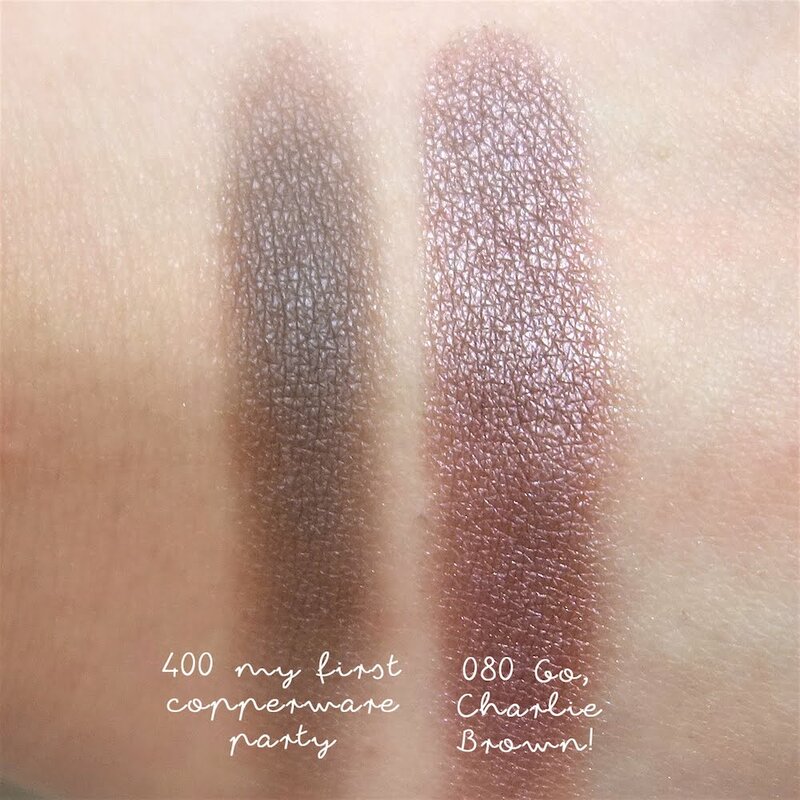 My First Copperware Party is a satin mauvey taupe shade. 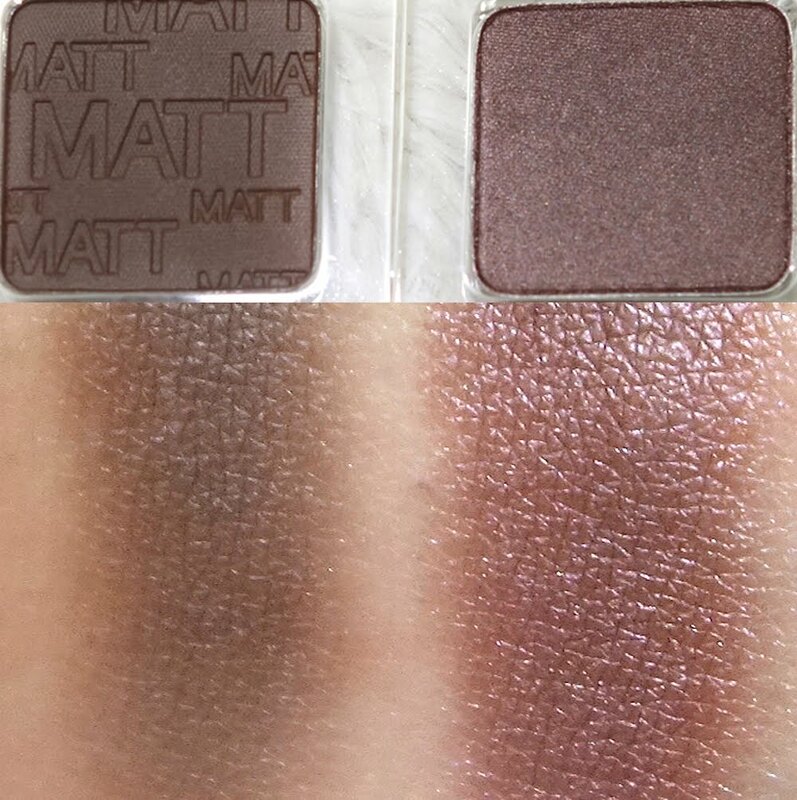 I really like the sheen that this shadow gives. 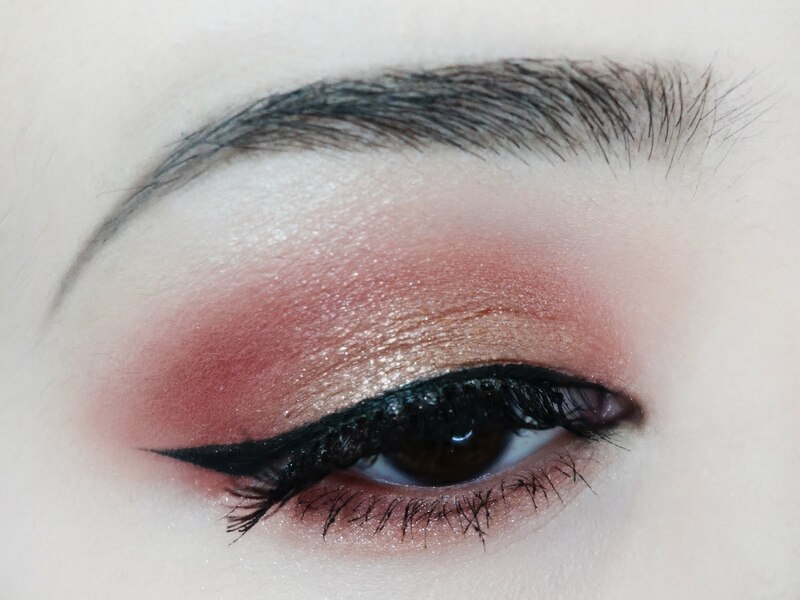 Will be suitable for days where you just don't want to go all out with your eye look and want something more toned down and simple. Here's all 4 of the shadows side by side to see the colour comparison.